Description: Try to find a perfect list diagram template but don't know where to go? Here we have prepared a flexible arc list diagram template available to be edited and use anytime. By using striking colors and style shapes, this list diagram is very clear and distinct. 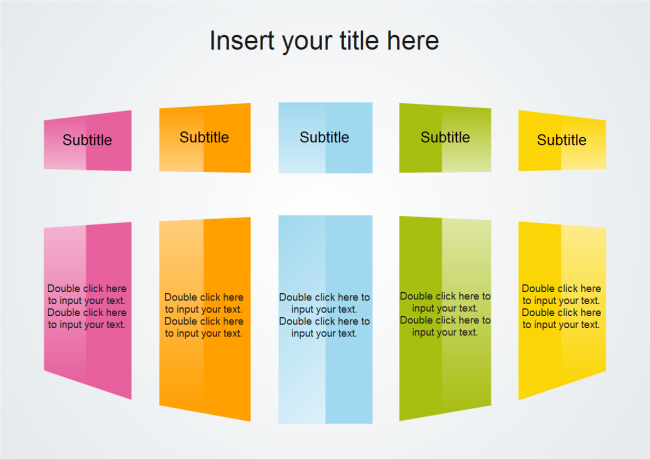 Download it now to create awesome presentations.